From hiking, biking and climbing to skiing, snowmobiling and snowshoeing, the Black Hills National Forest offers recreational activities for all ages, stages and interests. “We are lucky enough that we can go skiing, ice climbing and biking all in one day living in the Black Hills,” said Perry Jewett, outdoor enthusiast and Black Hills native. From a very young age, Jewett has taken full advantage of the backyard playground that the Black Hills provides. “Spearfish makes a great training ground for biking and hiking before moving on to larger, more difficult adventures,” Jewett said. Within a 10-mile radius of Spearfish, residents have easy access to three main recreational areas, according to Bonnie Jones, US Forest Service Recreation Specialist. 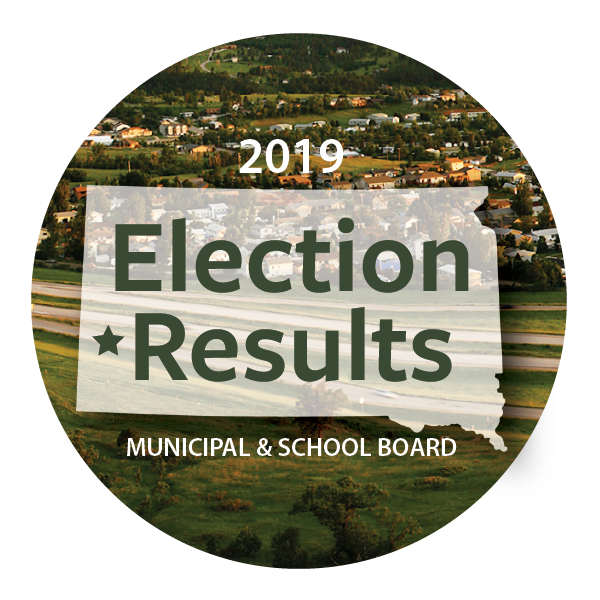 “Spearfish Canyon, Big Hill and Crow Peak are the main areas that residents and visitors hit for scenic drives, hiking, biking, fishing, horseback riding, snowshoeing, snowmobiling, and cross country skiing,” Jones said. Spearfish Canyon is a beautiful scenic drive year-round, but nationally known for its beauty when the leaves change in the fall. An observation deck and resting benches allow residents and visitors to view Bridal Veil Falls year-round, while walking paths, decks, and picnic areas allow for time to soak in Roughlock Falls’ scenic beauty. 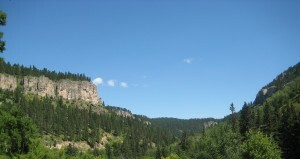 Spearfish Canyon has also been featured in national rock climbing magazines for its well-pocketed routes and overhangs. Many enjoy fly-fishing in the creeks and streams throughout the canyon and Spearfish area. Spearfish Creek hosts thousands of wild rainbow and brown trout. Anglers can enjoy year-round fishing in this blue ribbon trout stream, named this because of the population of fish per square inch of water. The D.C. Booth Natural Fish Hatchery, located within the city of Spearfish, is one of the oldest hatcheries in the country. It is also an archive and museum of trout history for the U.S. Fish and Wildlife and welcomes over 155,000 visitors annually. McNenny State Fish Hatchery located approximately 10 miles west of Spearfish, breeds, stocks and establishes trout populations in the Black Hills of South Dakota and Wyoming. Big Hill is a non-motorized trailhead about eight miles southwest of Spearfish on Tinton Road. This trailhead accesses 350 miles of snowmobile trails, 16 miles of hiking trails and provides entrances for anyone wanting a day of cross country skiing, snowshoeing, hiking, biking or horseback riding. Located about four miles up Higgins Gulch, Crow Peak is a beautiful mountain used mainly for moderate to strenuous hiking experiences, but it’s occasionally used for biking and horseback riding. Most notably, Crow Peak is known for its renowned views of the greater Spearfish area. As an avid rider and someone looking for a challenge, Jewett enjoys spending one day each summer biking up the three crown jewels of Spearfish: Crow Peak, Lookout Mountain and Spearfish Mountain. “It’s a fun and exhilarating ride, with extraordinary scenic views,” Jewett said. Motorized US Forest Service trails can be easily accessed from Spearfish, as well. West of Spearfish on Tinton Road, ATV/UTV riders can access specific trails at Red Lake and the Gravel Pit, both of which are easy riding experiences. Additional information regarding recreation and licensing in the Black Hills National Forrest can be found at http://www.fs.usda.gov/blackhills or at the Northern Hills Ranger Station at 2014 N. Main Street. Numerous sporting goods retail shops are located in Spearfish. They sell and rent various pieces of equipment including bikes, hiking equipment, rock climbing equipment and apparel. These businesses also provide advice and assistance for those wanting to use the Black Hills for recreation. One of the best and easiest ways to find out what your Black Hills backyard holds is to take a geo-caching adventure to explore the area. “Geocaching shows you the sites of the area and you can decide for yourself if you want to use the trails more or in different ways. This is a fun activity for the entire family,” says Jewett. The Dakota Five-0 is a fifty-mile bike race held each year during Labor Day weekend that starts and ends in Spearfish. Since its inception in 2001, the race has grown exponentially. Just 89 registered for the first race 12 years ago. This year the maximum of 600 cyclists signed up for the race in just three hours on the day registration opened. A waiting list of an additional 100 riders was also made. The self-imposed maximum is set to keep the quality of the trails high and assure great experiences by all riders. Racers also start in three separate waves to accommodate the large numbers. Cyclists travel from near and far to participate in the race. Less than 200 participants were from the Black Hills area, while other riders drove six to 12 hours for the race. “Riders will be running the race counterclockwise with the theme, The 13th Year is Not a Curse, Ride the Course in Reverse,” says Jewett. Registration opens on April 1, 2013, and the race will be held on September 1, 2013.